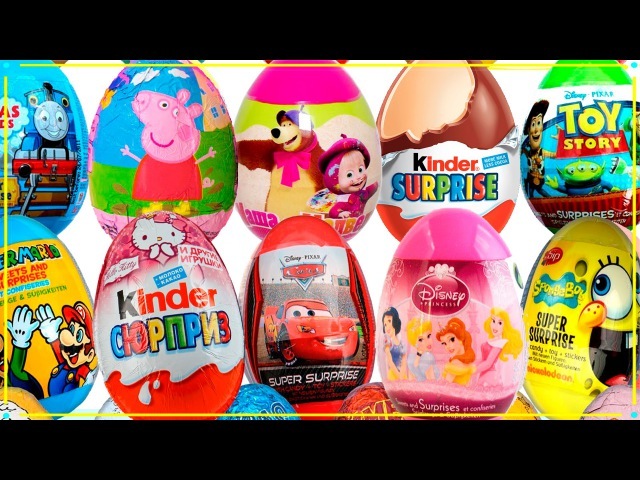 Описание: Today we will unboxing 12 Surprise Eggs with different Surprise toys for kids and baby. Inside eggs toys Peppa Pig and Toys Hello Kitty, Masha and the Bear toys and SpongeBob toys for kids and other surprise toys here. *Welcome to A lot of candy a toy channel! On this channel, you will see a lot of crazy and interesting videos with Kinder Surprise and Sweets. We will open and Unboxing the Kinder Surprise eggs, eat and discover a lot of sweets, do crazy things with A Lot Of Candy. ***Please - Like, Comment..